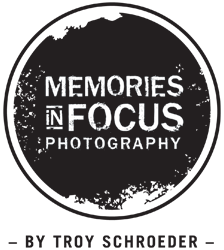 Welcome to 514 Central, the blog for Memories In Focus. Here at MIF Weddings, we love to document love, and we want to share that joy with the world (along with some personal ramblings). There is nothing better than seeing the joy & love on a bride and groom's face on the happiest day of their life, and to be able to document that weekend after weekend, makes this job, the greatest job ever. A little about me: My name is Christopher, and yes, I am in fact a girl with a boys' name (we will get to that at a later time). I hail from the tiny southern Iowa town of Corydon. I graduated in 2011 and made my way to bigger and greater (no offense, Corydon) things in good 'ol Waterloo. I graduated from Hawkeye Community College in 2014 with a degree in Professional Photography. I had original plans/dreams to one day become a fashion photographer and make my way to New York City. My dream for NYC has not changed, however, what I want to do there, has. I had ALWAYS (seriously, ALWAYS) said I would never do wedding photography because I was terrified of it. I then was asked to begin second shooting weddings with a wedding photographer in the Cedar Valley. Somewhere in the 40+ weddings I've photographed, I fell in love with love. I'm not sure if it was seeing the love in a bride's eyes when talking about her husband-to-be, the groom's reaction when seeing the love of his life for the first time, or the emotional roller coaster that comes with the father/daughter dance (I cry EVERY time), but I came to the realization that this was my passion, despite my previous fear of it. I can honestly say, I have no idea where I would be in my life I didn't love this. I hope you enjoy viewing this blog as much as I will enjoy writing it. I hope you find happiness, inspiration, and a warm heart with each post.